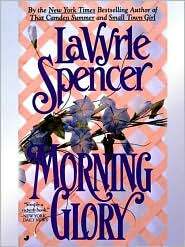 After reading and loving The Endearment, last week I decided to read two other Lavyrle Spencer books, Morning Glory and Years. I was not disappointed, they were both gorgeous books. 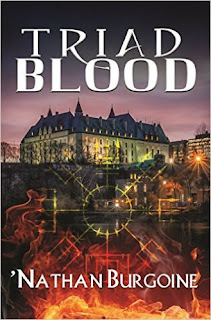 What I'm finding is that this author excels at both writing a story and at character development -- and I mean central and secondary characters. There's no such thing as an underdeveloped thread in a Lavyrle Spencer book, or a two-dimensional character, although I did find a few stereotypical ones along the way. Both books are Historical Romance/Americana. Morning Glory is set in Georgia during WW-II and Years in North Dakota during WW-I. In Morning Glory the male protagonist, an ex-con and murderer, falls in love with a widow who has two children and is pregnant. He is drifting around the country looking for work, but he has a record and times are tough. She has land, two children and is pregnant with no man. She places an ad on the newspaper seeking a husband and he answers. There's a theme to this book where the hero falls in love with the "mother/woman" that was both lovely and unexpected. 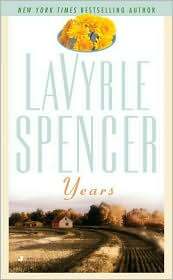 In Years the female protagonist is an eighteen year-old young woman who becomes the teacher of a one-room school house to a farming community in North Dakota. This is a May/December story, and in contrast to Morning Glory, the theme is that of the male protagonist falling in love with the "girl/woman." I loved reading these books one after another and experiencing the contrast between the two different themes. I cannot say enough about Spencer's talent for narration and dialogue, or her inclusion of details (both historical and otherwise). Her characters become real after a while and it's tough to let them go. Morning Glory and Years are both gorgeous stories with unforgettable characters and settings. Both these books were A reads for me, although I must admit to having a slight preference for Years, but then I'm sucker for May/December stories. I have other books by Spencer in my "to be read" pile and it's tough not to continue reading her books. I'm torn and don't know which one to pick up next: Twice Loved, Spring Fancy or The Hellion. What do you Spencer fans suggest? Leslie, you hit the nail on the head, that's exactly how Spencer's character's feel. Thanks Leslie, a triangle? Hmm... you know I don't love those, but now I do wonder how Spencer would approach it. The Hellion definitely sounds like a strong possibility, though. :D Spring Fancy -- about a woman getting married who meets some else right before her wedding? The blurb is quite skimpy. Years and Morning Glory are my two favourite books by her. I also enjoyed Spring Fancy - it was a shorter book than some of her others. Another one I quite enjoyed is Bygones. It's a bit different. It's about a couple who have been divorced for a while and still hold some bitter feelings. But their daughter brings them together and they rediscover the love they one had. The Endearment is also very good. While some of her books were just meh, when she wrote a good one, it's the kind that lingers long after you are done!